We’re back to the Gallagher brothers once again, and unsurprisingly, there’s been more drama between the two brothers. Honestly, does it ever end? This time, it was over cynical tweets from Liam Gallagher, accusing his brother Noel of faking tears at Manchester Arena earlier this month. Noel had performed at the venue’s reopening, four months after the horrific bomb attack that killed 22 people. During his performance Noel Gallagher appeared to have a break down. Shortly afterwards, Liam allegedly tweeted that the show of emotion was a “PR stunt”. We suppose Liam must really hate his own brother to accuse him of such a thing or he really knows him very well, or he’s just envious of being out of the headlines? However, the singer denies being behind the tweets, claiming his Twitter was “hacked” and he says the police are investigating. Both brothers have played shows in memory of those murdered at the Ariana Grande concert back in May. Liam was a surprise guest at One Love Manchester, a benefit concert held at Old Trafford Cricket Ground less than two weeks after the attack. Noel did not play at the concert, and surprise surprise, Liam jumped right on Twitter to criticise his brother’s absence. However, Noel was among the acts to perform at another benefit concert at Manchester Arena months later. He played around nine songs in total, and seemed to start crying during a rendition of the popular Oasis song, Don’t Look Back In Anger. “[Noel] broke down in tears come on you seriously ain’t buying that”, he said, “don’t buy into his PR stunt… if the same thing had have gone off in Edinburgh he’d [have] been up there like a shot”. But now Liam has denied those tweets were from him. “Oh, that wasn’t me. Someone hacked my Twitter account,” he told Newsweek. “I wouldn’t do that. I wouldn’t say stuff like that. Can you believe that? 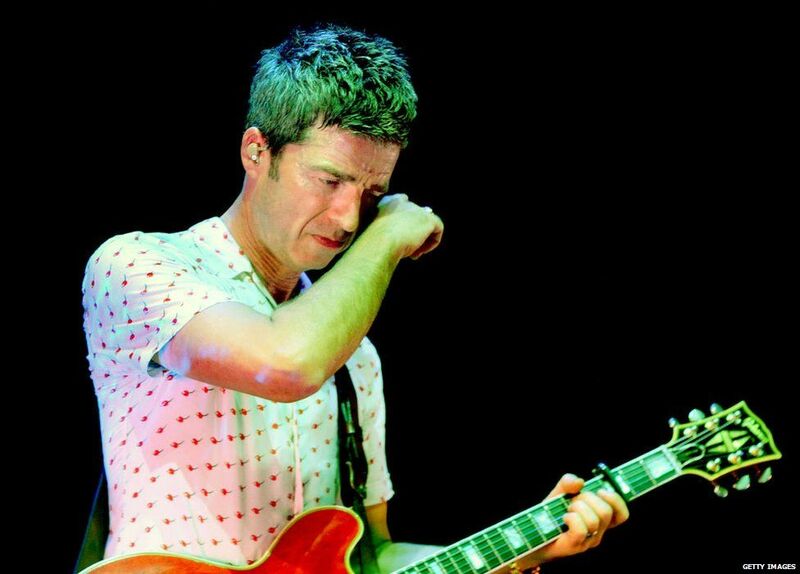 Noel has not yet commented on his brother’s tweets, but told Radio X during an interview that he “wasn’t actually crying” during the gig. So whether Liam’s Twitter was hacked, or he’s just trying to hide his actions, we don’t know. He wouldn’t be the first celebrity to have his social media hacked, but considering the non-stop feud that’s happened between these two for such a long time, we wouldn’t put it past him completely. Noel Gallagher has since said that he’d really like to meet UFC fighter Conor Mcregor one day, calling him an”absolute dude” and admiring him, saying “If you’re talented and you got charisma, the world is your oyster” to Absolute Radio. Seemingly, he doesn’t feel the same about his brother Liam, so we suppose they’ll never reunite to make any more landmark music, then?